This volume is the first publication to examine in detail the phenomenon of collective art practice in the continental Western Europe of the late 1950s and of the 1960s. The book elaborates a comparative perspective, engaging with a cultural history of art deeply concerned with political ideas and geopolitical conflicts. Groups of artists and activists including Equipo 57, Equipo Cronica, Equipo Realidad, N, GRAV, Spur, Geflecht and Kommune I, have often been neglected in the English-speaking world. This happened partly because they were active in allegedly minor art centres such as Valencia, Padua, Cordoba, West-Berlin and Munich. However, their works, debates and intellectual networks cast new light on both the art produced during the Cold War and the heightened interest in participatory and collaborative art practices that has characterised the art world of the 2000s and 2010s. 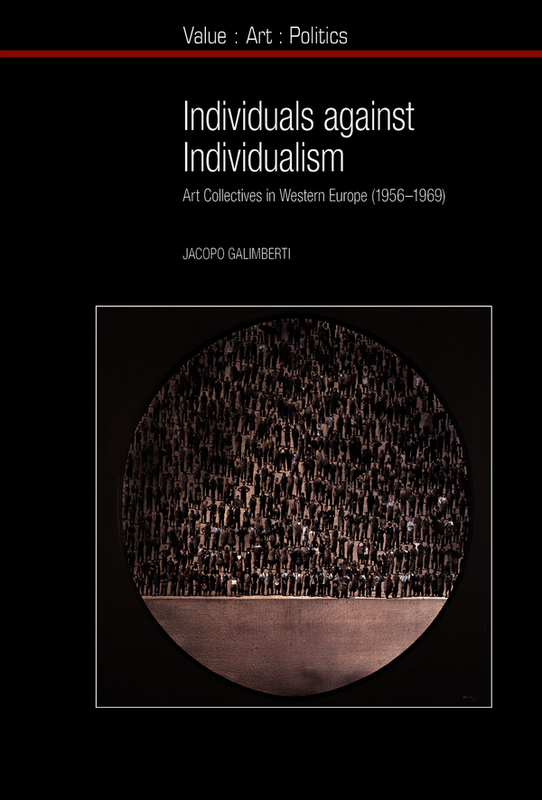 Individuals against Individualism tells the stories of these artists and activists, and focuses on their attempts to depict and embody forms of egalitarianism opposing the Eastern bloc authoritarianism as much as the Free world’s ethos. By setting their political use of collective authorship, resistance to institutional co-optation and attack on the 'ideology of freedom, against the backdrop of the Cold War, the book largely speaks to the present. 'The transnational approach proposed by the author is something to celebrate because it allows us to demonstrate, in the framework of the new models of collective production developed in Western Europe, the contemporaneity of this work and to emphasize the relations between collectives operating in France, Germany, Spain and Italy. In addition, the originality of the research on groups little known and treated by the English bibliography is to be welcomed. This analysis makes it possible to leave the hegemonic centralism on which studies on modern art have been based until recently, and to challenge the conception of Europe in monolithic terms. In the book, the connected and networked structure of artistic practices clearly evokes a decentralized and multicentric modernity. Dr Jacopo Galimberti is a British Academy Postdoctoral Fellow in the School of Social Sciences of the University of Manchester.